March | 2014 | Paladins Stole My Bubbles! 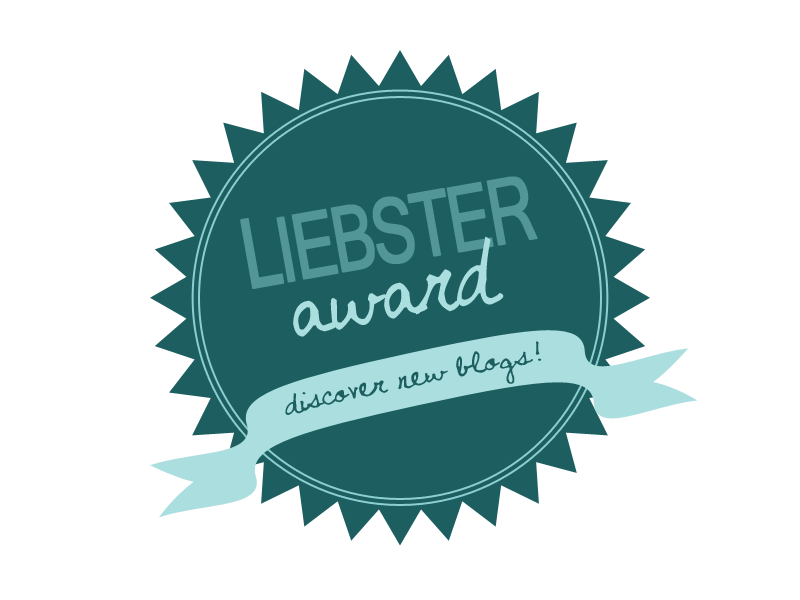 Reihyou, over at Mana Tide Totem, has nominated me for a Liebster Award! I’ll confess this had me confused for a second there, since I’d never heard of them, and they seem to work nothing like an actual award. They do appear to be an excellent way to find new blogs though, and I’m thrilled to have been nominated. So, onwards! Back when I was very much a noob, I came across WoW Insider while on a quest to figure out how to play my mage (who was the first character I rolled) somewhat decently. When I made my priest my main, I started reading Spiritual Guidance quite avidly, and then the rest of the site. At some point, thanks to links to blogs they posted (especially Dawn, in Spiritual Guidance columns, to other sources of priestly information), I discovered WoW had a rather active blogosphere. Pretty much since then I’ve been wanting to try my hand at it. I am, however, a little bit shy, and the idea of posting stuff for other people to read seemed daunting, especially when I didn’t feel particularly knowledgeable about the game. It took me a couple of years to get over that and a while longer to actively try to get anyone to read this (posting an intro thread at Blog Azeroth counts, right? ), but here we are! 2. What was the first character you raided with? Which raid was it? Do you still use this character as your main? The first character I ever raided with was my priest. It was ICC ten-man, at the end of Wrath. She’s absolutely still my main and probably will be forever, since every time I consider switching to another one of my healers I wind up feeling terribly guilty and regret it immediately. 3. If you could instantly be knowledgeable and proficient with any class/spec, what would you pick and why? Shadow, probably? I know, it’s a boring choice, but I’m kind of an awful DPS’er and I’ve always wanted to be the kind of healer who can switch to their offspec and top some DPS meters if the raid requires it. Otherwise, I’d kind of like to be instantly much better at Mistweaving (then again, Tzufit’s awesome guide from a while ago already sort of helped accomplish that ^^). 4. If you could live in any virtual gaming world, which one would you choose? SW:TOR’s! (A.k.a. that galaxy far, far away). I mean, are you telling me you’ve never wanted to be a jedi? Plus, all the other virtual worlds that I like tend to be medieval fantasy and I’m really pretty fond of things like showers and medicine and computers. 5. What would you do if Blizzard shut down WoW permanently? Would you play another MMO or game? I would cry a lot, and throw things. And then I’d probably move on to the ever growing pile of Steam games that WoW tends to keep me from playing. I would probably also give SW:TOR another try, since I do love the class quests and they still have dedicated healing in their game (*glares at GuildWars 2*). I also have a soft spot for Bioware. 6. If you could change anything about the class you play in WoW, what would you change and why? Oh, my. This could easily turn into a very long essay, so in the interest of being brief I will say only two words: Divine Aegis. It’s way too powerful for an ability that I don’t really have to think about the majority of the time. And its scaling is ridiculous. 7. If you could pick any job in the gaming industry, what would it be? It’s one of my secret life aspirations to be a writer for BioWare. I suppose it’s less of a secret now. 8. Are there any bloggers out there who you aspire to be like? What is it about them that you love? Alright, gushing time. I’m not sure there is anyone in particular I aspire to be like but I’d definitely love to have Dayani’s grasp on everything healing and the ability to explain things as clearly as she does. I also really admire Hamlet’s theorycrafting skills and would like to be as proficient with WoW numbers one day. Most of all, though, I’d like to eventually develop a writing style similar to Ophélie’s. It’s always light and funny and easy to read. 9. If you could be in any top-end raiding guild, which one would you pick? 10. What is the oldest screenshot you have in your WoW Screenshots Folder? What is the story behind it? This happened the other day while I was doing LFR on my druid and someone asked for food. I didn’t even notice what was happening until my friend whispered me ‘Well, that rogue did ask for food.’ Then I saw that we had like twenty banquets out and had to take a screenie. 11. What is your favorite in-game memory of WoW? One of my best friends IRL got me into WoW, and right before Cataclysm dropped we decided to do the ‘World Explorer achievement’ (entirely on horseback, no flightpoints except to help us get to the other continent) as a sort of farewell to the old world before it got smashed into itty bits. We didn’t get very far, but it was fun while it lasted and it gave me the chance to really notice a lot of details in zones that I had never paid a lot of attention to. Old Southshore, I still miss you. And time to spread the fun! Yup, there’s only five. It turns out that finding new-ish bloggers who haven’t been nominated already, whose blogs I read or have read and who are actually kind of active is pretty hard, so I’m just going to leave these five names here. What made you start playing WoW? Name one character from MoP you’d like to see in a future expansion. What are you looking forward to the most in WoD? If you could have any WoW ability in real life, what would that be? If they were a playable race, would you play a murloc? What class? Ever since the idea of proving grounds as a gating system was introduced, the most widespread argument I’ve come across for why it’s not that great of an idea (beyond the balance argument, which I think is fair) is that it won’t do anything to solve the real problem with random groups. That is, inconsiderate jerks. I think this argument is nonsense. It is absolutely true that there are really skilled players with an attitude problem. Who enjoy belittling other people, or who refuse to account for what other people in their group might struggle with. But, guess what? Unskilled players aren’t immune to attitude problems. Let me tell you a story. It was early in the day and I was doing my daily auctioneering and fiddling with my specs in preparation for raid, when I noticed someone periodically posting in trade chat, asking about gemming his character. He was getting no response, so after seeing it a couple of times and getting a tad bit irritated, I whispered him. Now, I’m no expert on prot pallies, but one of our tanks is a pally and I’ve done some research on them while trying to troubleshoot encounters. (Plus, I kind of love reading Sacred Duty <3; much math, such happy!) So while I couldn’t accurately answer his question, I could definitely point him in the way of sources that could. Namely, Maintankadin and Icy Veins. His answer? Thanks, but I’m looking for someone who can tell me exactly what to gem. That response had me rolling my eyes; but I’m stubborn, so the conversation didn’t end there. Instead, I described the gist of what IV said and explained that gemming really depended on what build you wanted and what content you were doing and that, if he really wanted to raid (he mentioned this at some point), he really ought to go and read the guides so he could figure out the best gemming strategy for his gear (and -though I didn’t say it- how to actually play prot; his attitude didn’t exactly inspire confidence in his skill). He stopped responding at that point. I’m not sure if he just decided to ignore me, or if he actually decided to follow my advice. As an eternal optimist, I retain hope that he was tabbed out reading the basics section of Maintankadin. But If he didn’t, then I’m glad the proving grounds will serve as a gate for the next expansion heroics. He wasn’t a jerk in the traditional sense of the word. He wasn’t mean; he didn’t insult me or laugh at me. But if you don’t care enough about the people you’re grouping with to take ten minutes and read through a webpage -even when being saved the googling by being specifially pointed in its direction- to make sure you know what you’re doing, then you are a jerk, and I don’t want you in my dungeon. And he’s not the only one. My first WoW guild had quite a few skilled players, but it had many more players like that paladin; who couldn’t deal with the mechanics in Cata heroics, or put out half decent DPS, and didn’t really care to improve themselves. A lot of them were perfectly pleasant people, with whom I would’ve gladly sat down to have a drink and chat. But they were the kind of people I dreaded being asked to do dungeons with, because it meant three, four, five hours runs with nothing accomplished. And any attempt to help them was essentially ignored. Honestly, they were as bad as the tank that pulled everything and ran me out of mana, despite my protests. I’m confident that Silver Proving Grounds is easy enough that the unskilled player who takes some time to do research and practice will eventually succeed. And that’s good. I don’t mind if your DPS is a little low – or if you’re having trouble interrupting or holding aggro -if you’re willing to learn; if you want to do better. But players like that paladin? They’ll be stuck at the gate, and I won’t have to carry them. And I will be happier for it. Will the Proving Grounds requirement weed out all jerks forever? No. But it’s not a dichotomy. You don’t get either great asshats or nice newbies. At least, this way, you’ll weed out some of the terrible asshats.